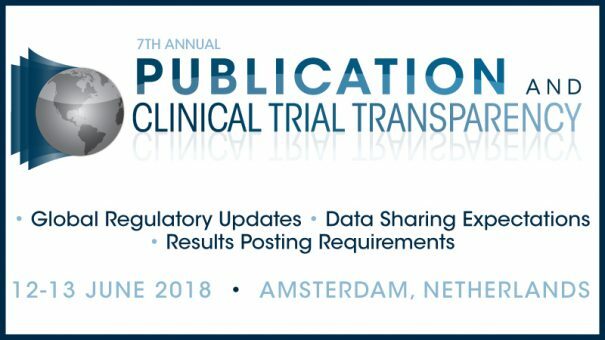 In its 7th year, the Publication and Clinical Trial Transparency conference bridges together the key stakeholders from clinical trial transparency, disclosure, publications, data anonymisation, medical writing and medical affairs teams. Together, industry experts share strategies for preparing and executing policy 0070 submissions, building compliance with GDPR, understanding data anonymisation standards, evaluating the effects of Brexit, and complying with other global regulations including EU CT and U.S. FDAAA Final Rule. Are you prepared for the impact these regulations will have on your publication and clinical trial disclosure teams? Join us at this critical time of change in the global clinical trials landscape to benchmark with peers on the ever-evolving transparency requirements to develop the most accepted and efficient best practices.